The Foreign Language Teachers Workshop Series (FLTWS) continues across the Commonwealth in an effort to provide useful, professional development opportunities to as many Virginia world language educators as possible. 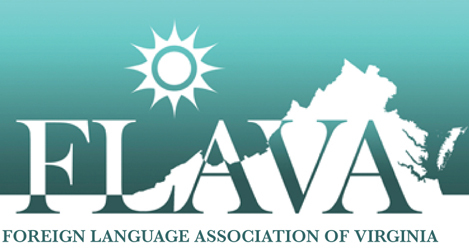 The FLTWS is partnered with the Foreign Language Association of Virginia (FLAVA) through its Professional Development Network (PDN). As is always the case, the FLAVA/FLTWS workshops can be used for receiving points toward K-12 teacher certification renewal at the discretion of the local school division with the presentation of the certificates, which participants receive after each workshop. For those at the post-secondary level in their teaching, participation in these workshops indicates a desire for self-improvement. Recognition of such by college and university administrators is congruent with necessary supplementary faculty activity and can be used in the reporting process. All workshops originate at Washington and Lee University (W&L) in Lexington, Virginia, and are broadcast live via the Internet to numerous host schools and divisions across the state. These locations are known as FLAVA/FLTWS workshop host sites. Each host site has a volunteer instructor who is a logistical coordinator and is an extension to the workshop leader at the broadcast location. If you are interested to serve as a host site/host site coordinator, please contact profdev@flavaweb.org. Click here to view the list of this year’s workshops. Click here to view the list of current FLTWS host sites. These workshops are free of charge, open to members and non-members. Whether you are a veteran teacher or just starting out, we encourage you to join our peer mentoring network on Facebook. This closed group is a place to share ideas and ask for suggestions and support. Click here to join the discussion. Interacting on Twitter is a great way to get quick snippets of personalized professional development. Follow FLAVA on Twitter here and see what you can learn.